/CZ/ Graduated from AAAD in Prague focused on glass in architecture and new media in fine arts. His main interests are sculpture, new media and medal. Already took part in many sculptor symposia and exhibitions. Since 2009 teaches as an assistant at Institution of Industrial Design of The Czech Technical University. 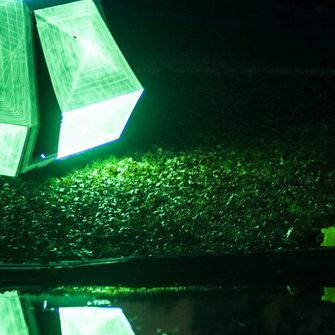 He created a project Tetris and Laser CUBE for the opening of the new building of The Czech Technical University. 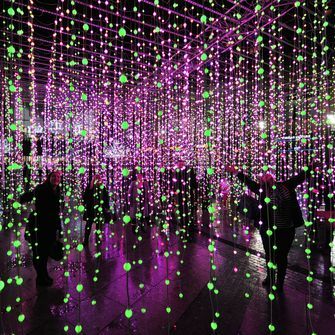 The main theme of this multimedia spatial installation is the sun. 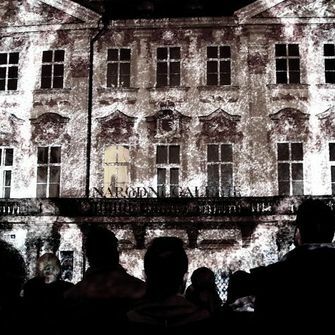 The author uses projection to try to give spectators the opportunity of unusual encounters allowing them a confrontation with the size, energy and greatness of the sun. The sun – he is the giver, creator, and at the same time, the star of death, that is sure to write the last chapter in the history of mankind and the planet earth one day. 150 million kilometres away it gives an impression of a friendly and harmless star that we think of as a natural part of our lives. The metro escalators will take passengers directly to the image of the sun – this will generate a hyperstructural action when a real time reflection will cut through with a past action. The specially treated projection surface is transparent but on the side where you look at it, it behaves as a semi-transparent mirror which allows the observer to become part of the projection. The metro symbolizes imagined darkness and the escalators a journey.